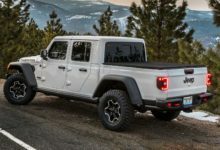 While we wait for the full-fledged configurator, the Jeep website has been updated with a Gladiator section previewing the available (and late availability) colors for the 2020 Jeep Gladiator. Jeep fans will be happy to learn that the JT Gladiator will offer some favorites such as Gobi, Hydro Blue and the new Gator color. In addition to mainstays like Granite, Billet Silver and Firecracker Red, the Jeep truck will come in many familiar JL exterior paint colors. 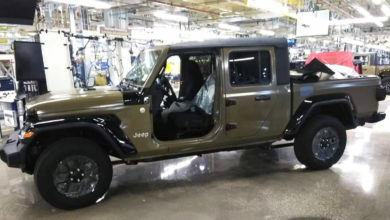 Check out the full list of 2020 Jeep Gladiator colors here.